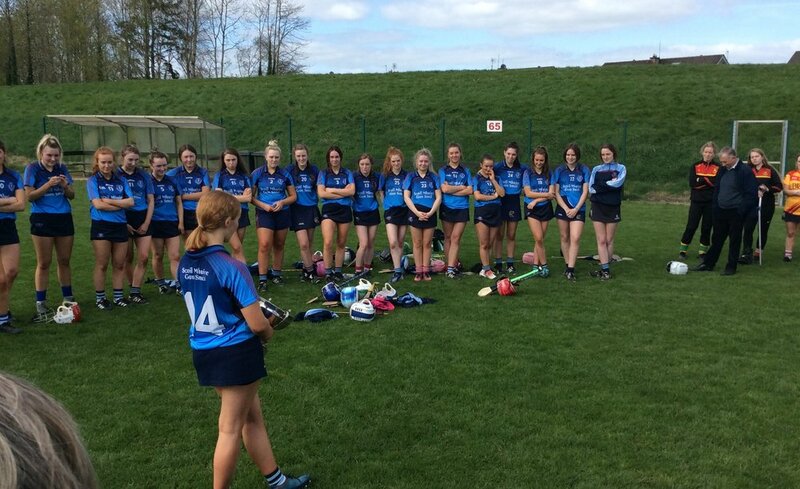 There were perfect conditions for the Camogie Munster Final between SMGS and Coláiste an Chroí Naofa, Carrignavar. SMGS Blarney started the game extremely well with Fiona Burke scoring the first point within minutes. Carrignavar responded quickly with a point of their own. The Carrignavar defence was strong but Órla Cremen broke through and scored the first goal of the match. Fiona Bourke was outstanding at centre forward scoring 0-4 from play. Jennifer Murphy was as reliable as ever from frees. Carrig did not lie down and scored a brilliant solo goal keeping the game in the balance. Blarney shifted into another gear and scored another 1-5 before half time. Our defence were superb only allowing 1-2 in the first half. The second half started and Blarney did not show signs of stopping with Orla Cremen bagging her second goal of the match. The second half was a physical affair but Blarney did not back down. Blarney pushed on again with Orla scoring her hat trick. Blarney kept the score board ticking until the final whistle. It was well deserved win for SMGS. Massive congrats to all the girls and their coaches Ms. Sheehan and Ms. McAuliffe. Panel: Órla Cremen, Fiona Bourke, Jen Dillon, Aislinn Buckley, Eve Mullins, Denise Buckley, Eimear O’Reilly, Saoirse Kiely, Emma Murphy, Anna Barry - Murphy, Claire Ahern, Jen Murphy, Karen O’ Farrell, Ava Cronin, Danielle Hendley, Orla Cronin, Alice O’ Connor, Aiobhin Kiely, Andrea O’ Connell, Nessa Crowley, Eva Callanan, Abbie Newman, Chloe Walsh, Ciara O’ Riordan.